Relocating to Mount Eden is fun and exciting. The idea brings about a range of opportunities and growth prospects. But without doubt, the run down until you are settled again at the new location is taxing and frustrating. Planning, packing and moving things deftly entail lots of effort and hard work. Also, the skill and competence required in taking up each task make it’s a professional’s job. Thus, taking services of movers Mount Eden becomes important for enjoying a successful relocation. At CBD Movers NZ, we have certified removalists in New Zealand and have a rich industry experience of over a decade. We staff highly trained and professional men who are proficient in taking up packing and moving chores deftly. We offer the widest range of removalists services. From taking up removal jobs for house shifting and office relocation to moving furniture items that are small, heavy, glassware or antique; we have the equipment and expertise to handle all. Be it packing, loading and unloading or customized jobs to undertake removal, we offer the most extensive range of services. We excel in dismantling and reassembling and therefore are the best furniture removalists in Auckland. 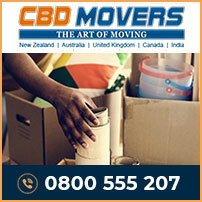 At CBD Movers NZ, we are focused on providing safe and appropriate moving solutions. We are reckoned for using well-defined processes and are equipped with best-in-class tools and techniques. Our fleet of trucks includes vehicles ranging from 3.0-tonne truck load to 8-tonne truckload. Each vehicle is befitted with climate control technology which assures the safest move upon exposure to temperature variations. We are registered movers and hold all the necessary licenses for a legally compliable move. At CBD Movers NZ, we take pride in our quality removalists services that are charged at the most competitive prices. We do not charge a depot fee and offer customized quotes for removal plans that are outside coverage area or from different floor level. Our comprehensive transit insurance cover too is nominally priced and assures all-round protection to the belongings during transit. We are transparent and clear in our operations and have no hidden extras. Mount Eden is a small suburb in Auckland, New Zealand. Just 4 kilometers south of the CBD, the suburb enjoys a strategic location. Featuring the latest facilities and amenities required for comfortable work and living, the suburb houses a population of nearly 10,000 people. 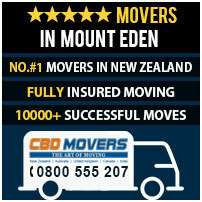 At CBD Movers NZ, we strive to provide the best, safest and the most affordable services of removalists in Mount Eden. Our customized plans and deals make every relocation to and from movers Mount Eden a comfortable and happy one. Get in touch with us for best-in-class services at the most competitive rates.